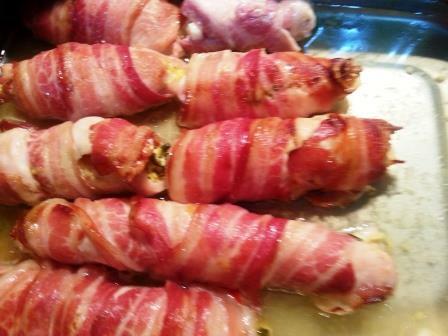 This preparation will be successful and a platter with appetizers and served hot, as a main dish, along with a side dish of mashed potatoes and a salad of the season. 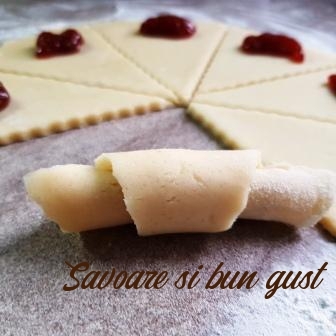 It’s a simple recipe, very easy to do, with a result that you will please your taste buds. 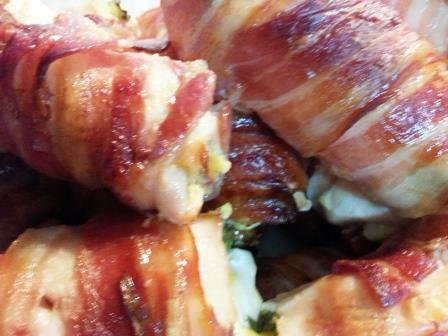 I invite you to cook together, tasty roll chicken breast wrapped in bacon. 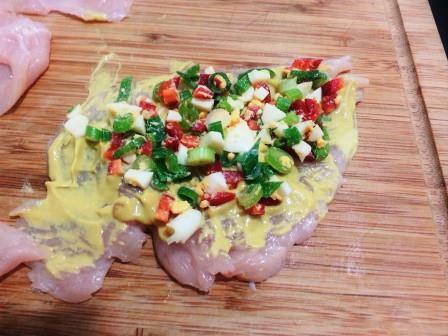 Wash chicken breast and dry with absorbent kitchen towels. 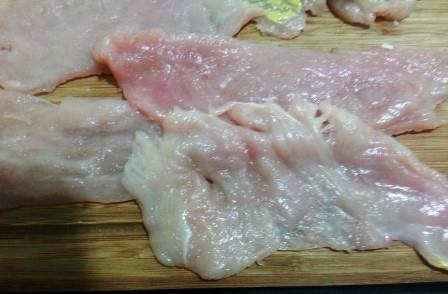 Portionam chicken breast in slices, like for schnitzel. Place the meat on a feliutele Board, cover them with a parchment paper and we beat them a little, then spice up with salt and pepper. 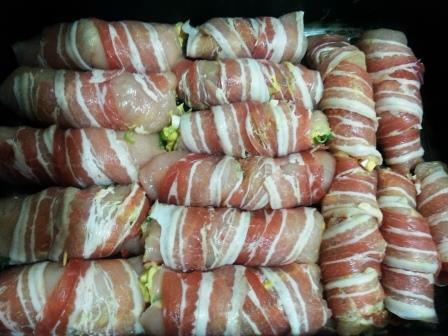 Leave the meat to penetrate the spices, prepare stuffing. Wash the peppers and onions and chopped them tocam. 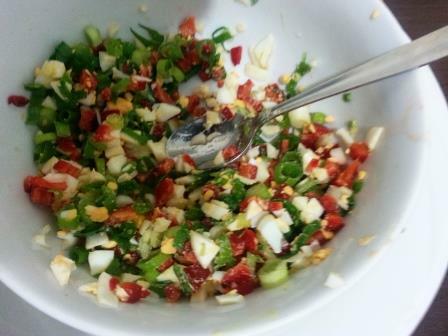 Tocam boiled eggs and mix them with the onions and pepper, season with salt and pepper to taste. After the stuffing is ready, prepare the rolls. 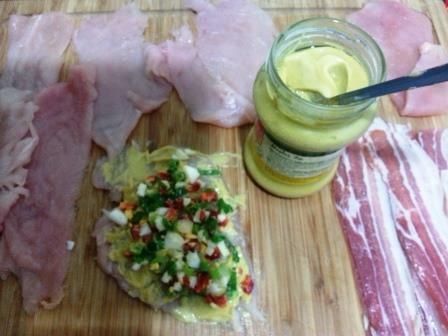 Each slice of meat to a brush with mustard, sit over a teaspoon of the filling and roll. 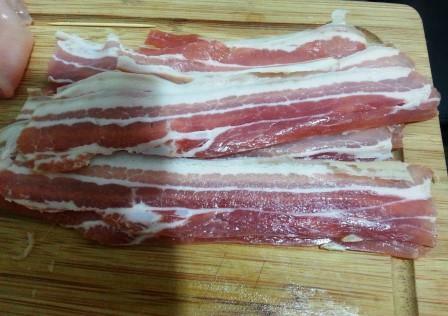 Roll format with a infasuram il bacon slice. 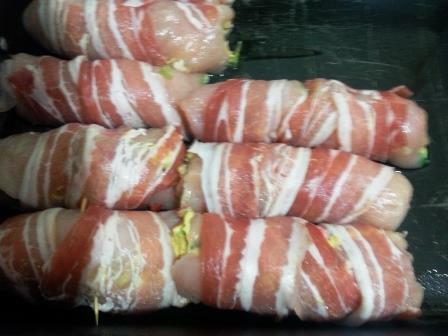 Place rulorurile in a pan in which I put the oil and bringing in a preheated oven at 180 C for about 20 minutes. 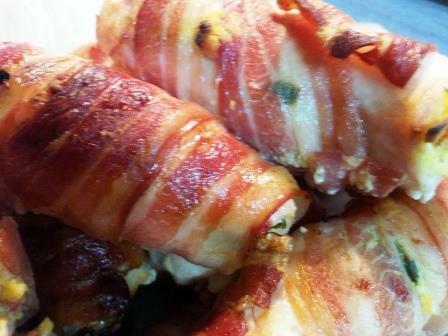 The rolls are ready when the bacon is brown. 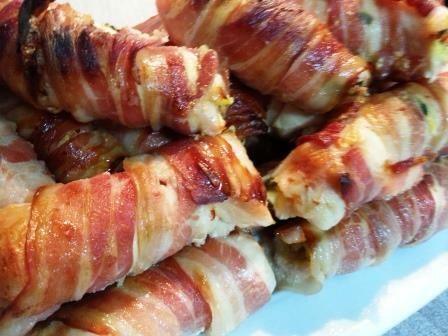 Remove rolls from pan and place on a platter. 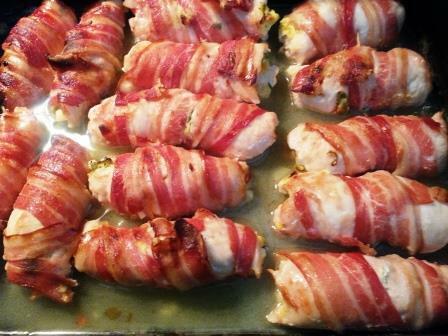 Roll chicken breast wrapped in bacon you can serve hot as main dish or cold as an appetizer.